Purobeach is a beautiful venue close to Estepona, to the west of Marbella and Puerto Banus. Boasting a beautiful beach area, a luxury private pool, and a world famous restaurant. The team at Purobeach can transform this space into whatever you need to make your event perfect. A beautiful beachfront wedding and poolside reception would be amazing at Purobeach. 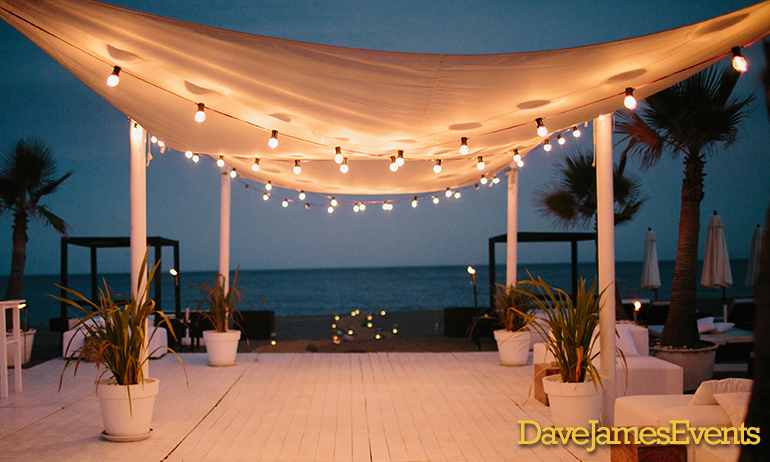 Don’t forget to talk to Dave James Events about all your entertainment at Purobeach!